Let your guests see your availabilty and book directly on your Facebook page. The app adds a BOOK NOW custom tab which displays you booking form where guests can book directly and comission free. 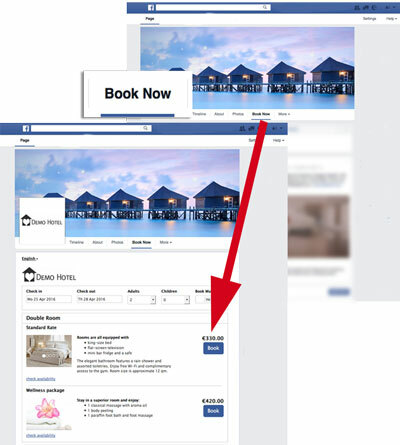 The Facebook booking app includes all functionalities Beds24 offers. You only need is a Facebook page and a Beds24 account. Have a look at our Facebook page to see a live example. Availability will automatically update in the Beds24 system and on your web site. The app is free to use for all Beds24.com customers. Installation is quick and easy. Just visit our App page on Facebook. Start taking commission free online bookings today. Test accounts include full functionality. No credit card required.